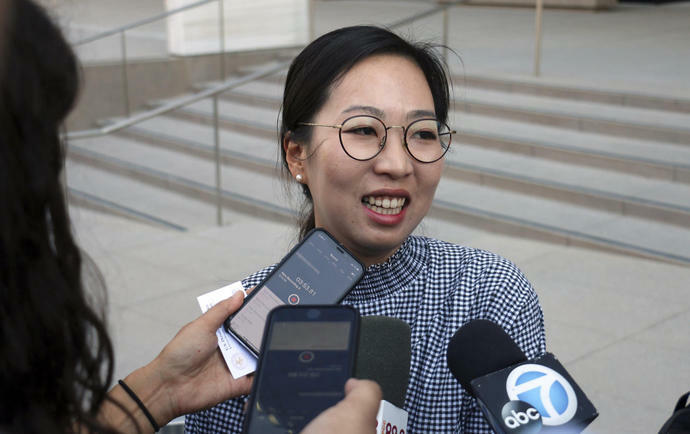 LOS ANGELES (AP) - A South Korean-born U.S. Army specialist who sued after the military moved to discharge her has been granted citizenship, her attorneys said Friday. "I love this country and was honored to serve it in the U.S. Army," Sea said in a statement. "I had felt like I was like I was an American since I was a child, growing up here. I had hoped for a long career in the Army. But I am so happy now that I will be a citizen."